SCANIA has for some years been running quietly, particularly in Australia, supplying trucks across the board and specialising in niche applications. The corporate approach in this country has been to make a profit out of every sale, supporting it with reasonable returns on service and the utilisation of the corporation's finance arm. Things have changed in the past 12 months. Scania Australia long-term managing director Roger McCarthy had a conservative marketing approach. The baton was passed mid-2017 to a new Swedish MD who, in the executive environment of the European truck manufacturers, could be described as a young blood. Mikael Jansson has turned up the burner with the company's marketing trust in Australia, creating a priority of volume sales and market share, a distinct shift from McCarthy's reign. It is something of a long pull to say Jansson's directional change had instantaneous effect on the market but he managed to catch a wave of market buoyancy with 2017 truck sales in Australia and no doubt is quietly smiling with the returns for the year. Last year saw more Scania trucks sold in the Australian market than any previous year in history. 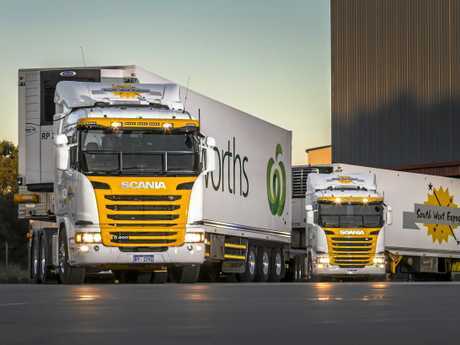 For the first time putting more than 1000 trucks on Australian roads. There have been several strong years of Scania truck sales development, building on the solid foundation laid down by McCarthy, surviving the mining resources wind-back and culminating in 2017 with a 29 per cent increase in trucks delivered over the previous year. The previous record for Scania in Australia was the delivery of 778 trucks. At a Scania function before Christmas, national sales manager Dean Dal Santo was upbeat on how sales were going, even though at that stage the final figures for the year were not in. Dal Santo could only see one direction for Scania, and that was increased sales and increased market share riding off the interest of the so-called New Truck Generation, the first prong of which will be launched in Australia in 2018. 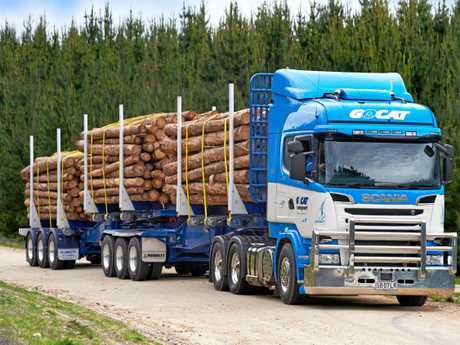 Dal Santo was quite upfront about the fact that new generation trucks had been trialling in line haul operations in Australia throughout 2017, following their original launch in Europe two years ago. 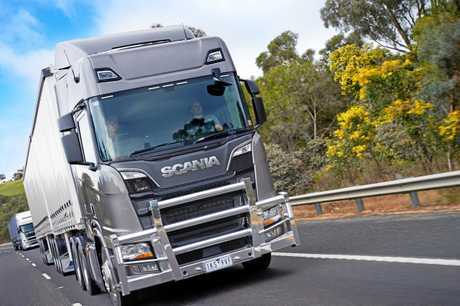 The market attack by Scania in Australia and globally is three-pronged, first the wave of line haul, B-double, single trailer and road train prime movers to be followed, possibly in 2019, with the launch of the construction and vocational Scania trucks. The third prong of the trident will follow with the urban range of distribution and multi-purpose transport platforms that were only launched last month in Europe. Dal Santo was a little reticent to make any claims about acceptance of Scania's Euro Six engines in the Australian market where there is no next-level emissions ADR legislation written as yet, but he reckons advanced emission standards of this engine is finding a small but strong market. The biggest user of Scania Euro Six trucks is now the fleet of South West Express, based in Bunbury, WA. Net sales of trucks for Scania globally rose in the first nine months of 2017 to more than AUD$30 billion, a record high, according to Scania's big boss in Sweden, Henrik Henriksen. With the global financial crisis now well and truly in the rear vision mirror, truck orders rose globally by 27 per cent for Scania in the first nine months of 2017 driven by a competitive approach to the global market and in particular Russia's recovery, always a strong mass-market for Scania. The importance of service revenue to Scania was also highlighted with more than AUD$2.5 billion, an increase of 11%. The all-new NTG line haul trucks and the new construction trucks have been covered in Big Rigs previously (search Big Rigs online). In December, Scania launched its concept of future city trucks with a particular focus on safety, ergonomic access and low carbon transport solutions. The company says these are low carbon trucks suited for all urban transport applications, fuel-efficient using a variety of power options including hybrid trucks. 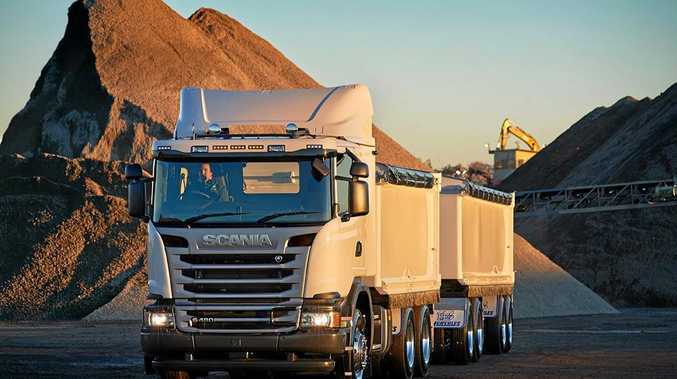 This introduction of lighter trucks powered by Scania's new seven litre engine brings the offering down into the competition of the Japanese manufacturers (at the upper level) and with it a new level of transport efficiency with, so the company claims, 10 per cent fuel savings. The full redesign of the urban trucks brings more compact dimensions with a lower engine tunnel, a more spacious cab and, so the blurb says, drivers will enjoy the best driving conditions in the industry with improved handling, steering and drivability and a lower entry for high-efficiency urban transport applications where the driver is continually getting in and out of the truck. A crew cab version of this lighter truck aimed at firefighters and other regional applications. Scania, in Europe, is searching for future answers to drastically reduced carbon transport, engineering electric answers along with LNG and biodiesel. 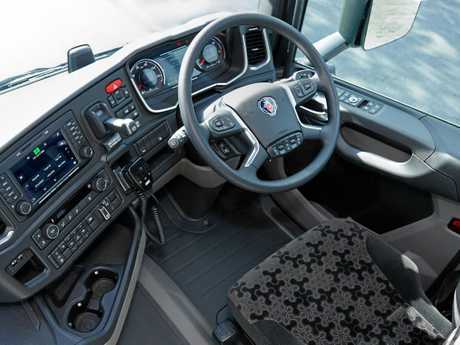 The company currently has hybrid trucks running, the first launched for city use in 2015. That version ran with the Scania's standard nine litre engine which can be driven by diesel or biofuels. Up to 92 per cent reduction in carbon dioxide emissions was claimed for the hybrid using biodiesel combined with the hybrid electric motor. Fuel savings of 18 per cent and in a typical urban distribution operation were forecast. The early P320 was aimed dead centre at urban use with all electric drive available for noise sensitive areas, such as reversing to unload or pick up bins. The hybrid's modular powertrain includes an electric motor delivering 130 kW (174 hp) with 1050 Nm of torque. The electric motor was engineered to fit between the standard engine and an adapted version of Scania's automated Opticruise transmission. This truck has a range of two km on flat ground working off the on-board battery that is recharged by the standard engine. Mikael Jansson told Big Rigs in December that hybrid trucks would come to Australia for early trialling during the next two years. 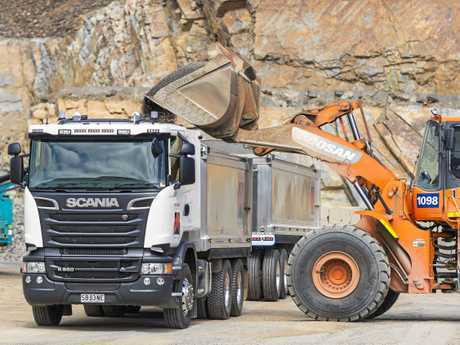 Big Rigs will road test the new-generation Scania line haul trucks on the Hume in February. Stay tuned.